Larry Shuelke of Mud Butte, South Dakota got some good bulls. 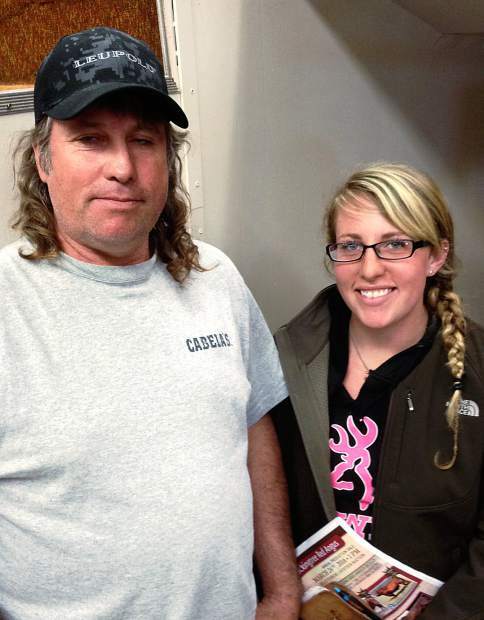 Bob Arndt recruited the help of his daughter Wendy in picking out some bulls on sale day. Lot 6, IRTR 1522, reached for the stars at $6,750 and is heading to Alzada, MT with Jack Owen. Sired by Brown JYJ Redemption Y1334, this bull posted EPDs of BW -6.1, WW 44, YW 78, and Milk 19. He was born 2/14/15 at 72lbs and has a 699lbs Adj. 205. Selling for $6,000 was Lot 44, IRTR 1539, to Bob Arndt of Arvada, WY. This Beckton New Era A332 E2 son was born 2/28/15 at 67lbs and was a whopping 659lbs on his Adj. 205. His EPDs include BW -5.0, WW 28, YW 41, and Milk 25. 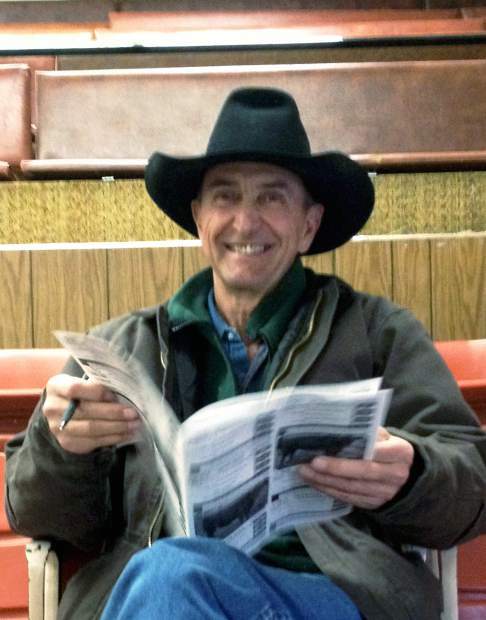 Jack Owen of Alzada, MT also took home Lot 1,IRTR 1518, a.k.a. the deal of the day at $4,500. Here was a Redemption son with good EPDs of BW -4.3, WW 61, YW 106, and Milk 16. He was born 2/6/15 at 71lbs and scored 739lbs on his Adj. 205. Lot 24, IRTR 1520, was sold to Gary Rusley of Baker, MT for $4250. This Beckton Halfmann Hustler R588 son was born 2/7/15 at 82lbs and was 761lbs on his Adj. 205. His EPDs include BW -4.2, WW 59, YW 92, and Milk 15. Lot 41, IRTR 1564, was sold to Gary Rusley of Baker, MT for $4250. Another New Era son with excellent calving ease posting EPDs of BW -4.6, WW 39, YW 61, and Milk 24. He was born 3/6/15 at 75lbs and was 625lbs on his Adj. 205.